What Sets the Sader Law Firm Apart from Other Firms? There are plenty of bankruptcy lawyers in Kansas City, but not all of them take the same client-centered approach when handling potential Missouri and Kansas bankruptcy cases. 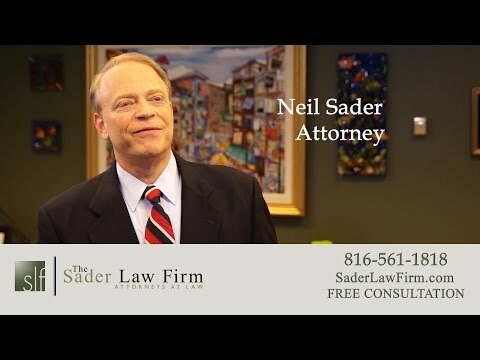 In this video, Kansas City bankruptcy attorney Neil Sader explains what makes his law firm special. If you are considering filing for bankruptcy and wish to speak with a Kansas City bankruptcy lawyer, call us at (816) 281-6349 or fill out our online case review form. What sets the Sader Law Firm apart from the other law firms is that we really do provide a personalized approach. Our goal is to work one-on-one with our clients. We’re not the cheapest law firm in town, if people want a bankruptcy attorney that’s the absolute cheapest charging attorney in town, there are other firms to go to. That’s not the type of law I wanted to practice when I started the law firm in 1997. I wanted to be able to develop relationships with clients, be able to work with them on-on-one basis, hear what their problems were and be able to apply what the law is in order to solve their problems. Where the people come to me that are suffering from garnishments, lost wages, whether its repossession on a car or whether it’s a home that’s about to be foreclosed on, we can help with those problems, but we can also help with things that people oftentimes don’t think of. They may think that taxes can’t be discharged under any circumstance; they can be discharged in certain circumstances. They may think that student loans can’t be discharged in any circumstance, but in truth they can be discharged in certain circumstances. ← What Should Someone Do If They Receive a Foreclosure Notice?